Jeff grew up in San Diego, California where he entered the Navy in 1992. His first duty station was Whidbey Island, Washington. He was assigned to the VAQ Squadron, and attached to the USS Ranger out of San Diego. He was sent out in support of Operation Desert Shield aboard the USS Ranger in the Dead Sea. On the way back to the states the USS Ranger was diverted to Somalia in support of Operation Restore Hope. From active duty he then transferred to the Navy Reserves and was assigned to CBMU 303. Jeff then tried out for Special Operations in the Navy but was injured during training. He was then assigned to Balboa Hospital in San Diego. 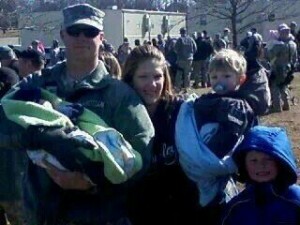 In 2008 he made the decision to go back on active duty, but it would take over a year to get back on duty with the Navy so he joined the Army in 2008. After training in Fort Leonard Wood, he was assigned to the 512th MP Company. He moved up to the MP Patrol Supervisor for the swing shift. 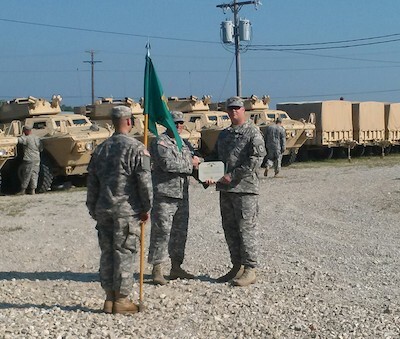 In February, 2010 his company deployed to Kirkuk Iraq. Jeff was assigned as Routes NCO for 512th with the job of patrolling the streets of Kirkuk for insurgents who were attacking convoys. On April 20th 2010 they were back out on the streets of Kirkuk. After dismounting and patrolling on foot they started back to their vehicles, and came under attack. His team took cover next to a wall trying to get a distance and direction to the fire Jeff felt as if he was pushed forward and fell into the wall. He pushed himself back off of the wall and started falling back, he tried to catch himself with his left arm but it wouldn’t respond and he struck the ground. Jeff then felt something cold and wet on his side that is when he realized that he had been shot. He let his team know that he was hit via his radio letting the crews of the Mine Resistant Ambush Protected Vehicle (MRAPS) move them in a circle around him. 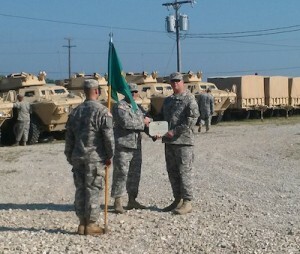 SPC Garbrech, who was driving one of the MRAPS jumped out and pulled SGT Pickard to safety. After being Evacuated back to the Forward Operating Base he was again moved by the Air Force Medical Staff and moved by helicopter to Bagram, Iraq. He was then moved to Walter Reed Army Medical Center. It was determined that the bullet hit the Brachial Plexus bundle in his left shoulder. The Brachial Plexus bundle control the hand, wrist, elbow, and shoulder. Jeff had full paralysis of his left arm. Jeff is left-handed so he needed to learn how to start over with his right hand. On the 29th of October of 2010, Jeff underwent operative nerve exploration to see what the status of the radial nerve. They found that the nerve was intact so they removed the scar tissue and stitched him back up. On the 29th of April 2011 he was returned to limited duty, and back to work. He then finished school as a Military Police Investigator, but just a year after his graduation the worsening effects of his injury made it impossible to preform his duties. 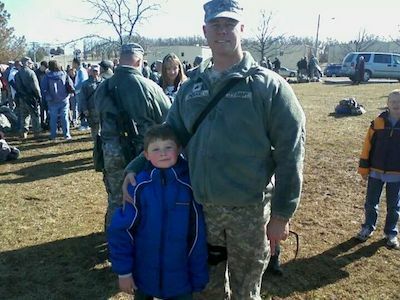 In November of 2012 Jeff was medically retired for the Army, after 15 years of loyal service to his country in both the Navy, and Army. Jeff now lives in California, with his wife Natasha, and five kids Tyler, Shane, Ethan, Dylan, and Prestyn along with their german shepherd Max.